This is very true in all soccer-playing career. 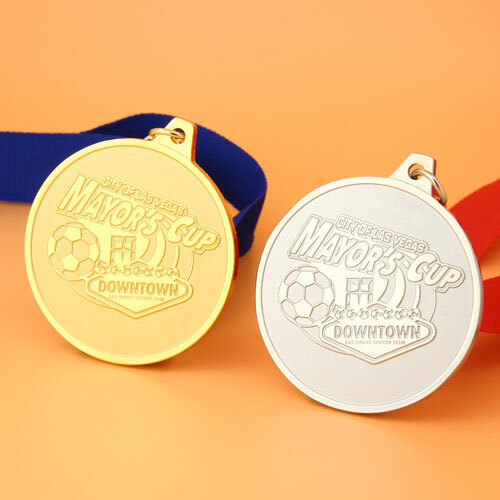 Even for the boys and girls of Las Vegas Mayor’s Cup in Downtown Las Vegas Soccer Club, this will be always something they do with passion! 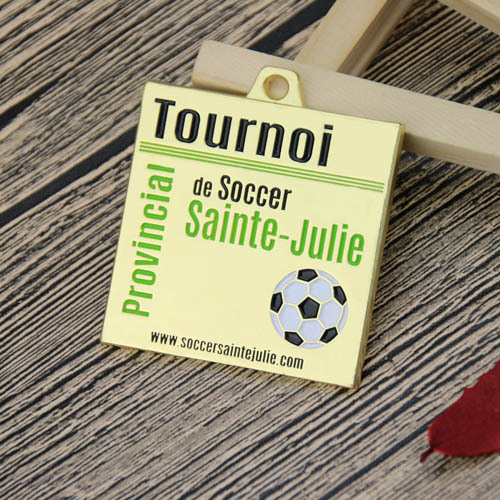 During the Fall Season, GS-JJ often receive many customized orders for soccer medals. So, for real these medals become a constant reminder and recognition for all the players. They play no matter blood, sweat, and tears throughout their practice and competitions. GS-JJ is really happy to suggest and advise what would be the better ideas to create these award medals! Also, how to get the best value for your organization because we truly care about your events and teams. About the shape, you can select standard round, oval, rectangle or other. Of course, for sure will be even, more outstanding looking creating a unique shape! Improving a bit more in this creation, there are several type of materials you can use… such as soft enamel medals, antique metals or shiny & sandblast medals, much more. 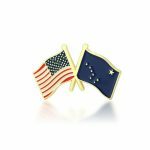 Soft enamel medal is an economical option and provides your medal with a distinctive appearance. With a brilliant polished raised and matte textured recessed areas! If you are maybe thinking about a look without color the shiny and sandblast material goes with it. About the antique medal, they are great contemporary look with old world charming, and you can know it from first sight. Attachments for medals usually are a ribbon drape or neck ribbon to connect loop and jump ring. 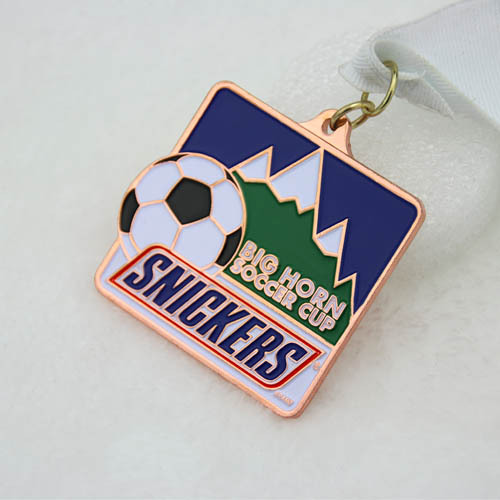 For the back side the smooth surface or not polished are also the most custom for the medals. 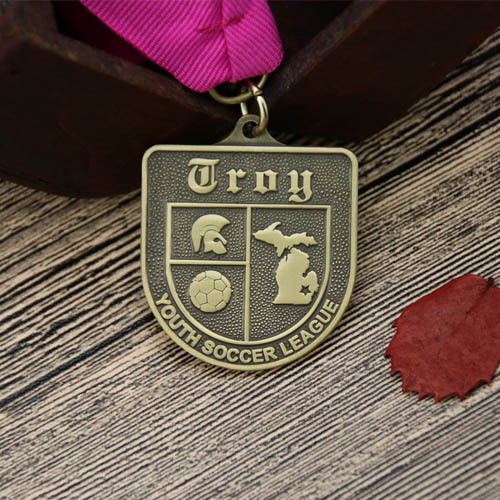 In Soccer medals not only symbolize the players hard work and dedication throughout the season, but in years to come that award will symbolize their childhood for that year. Great honor and memory for them. 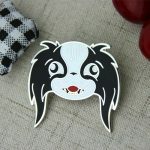 ← Chinese New Year Lapel Pins – Order Online Now!